This dip is mostly carbohydrates and a little fat. Enjoy it with some fresh vegetables and pair it with a meal comprised of protein and some additional fat. Add chickpeas, nutritional yeast, salt, basil, onion powder, oregano, parsley, tomato paste, garlic, water and cayenne pepper (if using) to a food processor and pulse until smooth. Continue pulsing while adding olive oil 1 tsp at a time until desired consistency is reached. *Add more water if needed. 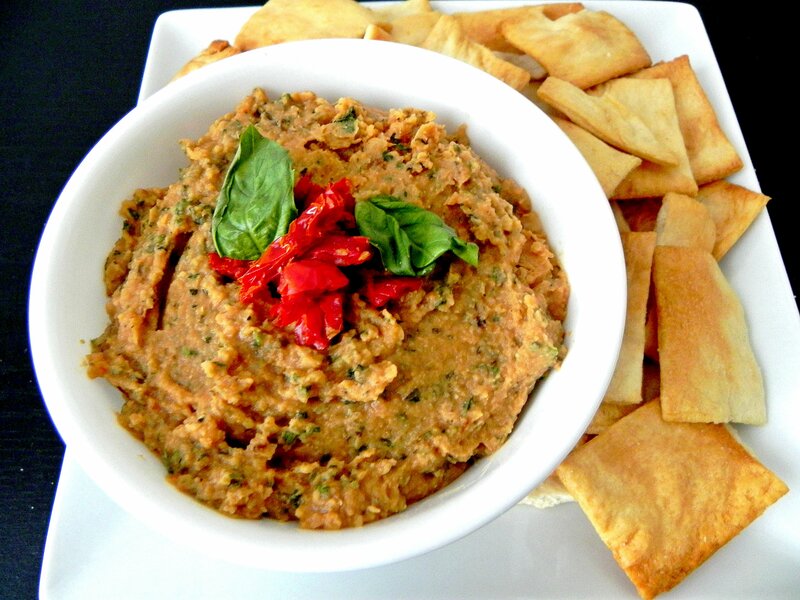 Garnish with fresh basil and serve alongside fresh vegetables or baked crackers if desired.